Diallel crosses were made between clones of a French and a Swedish provenance of Picea abies. The former is characterized by a long critical night length for bud-set and a late flushing of the buds; the latter by a short critical night length for bud-set and an early flushing of the buds. The F1 hybrid seedlings and their French and Swedish intraprovenance half-sibs were tested over three growth periods in the phytotron at the College of Forestry, Stockholm. In comparison with intraprovenance half-sibs, the hybrid progenies gave, on average, an intermediate response for the photoperiodic control over budset and for the temperature requirements for bud-flushing. This indicates the prevalence of additive action of multiple factors in the determination of the photoperiodic and temperature response. However, individual interprovenance hybrid progenies revealed a range of responses, and in certain combinations the response of these hybrids and their intraprovenance half-sibs coincided. 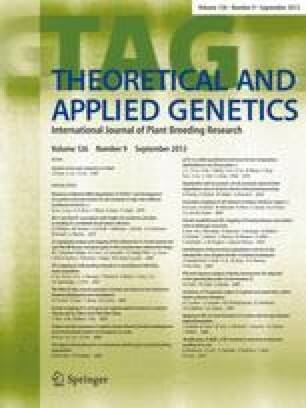 By selection of suitable parents, interprovenance crosses can be used to produce hybrids with desired photoperiodic characteristics and temperature requirements.